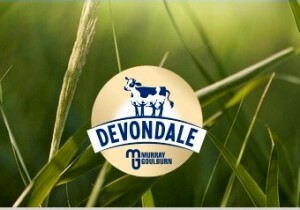 Australian dairy foods company, Devondale Murray Goulburn (MG) has introduced the new Devondale NatraStart in a product launch event held at the Hotel Kunlun in Beijing, China. The launch – which was attended by approximately 150 guests, including nutrition experts and commentators – coincided with this year’s “Australia Week in China” event during which many Chinese and Australian business and government leaders gathered to discuss opportunities for the future. MG’s Executive General Manager of Dairy Foods, Mr Albert Moncau, was in Beijing to mark the occasion and said the company was very proud to launch MG’s newest product in China. “Today’s launch of Devondale NatraStart for the China market is an exciting milestone for MG. Our product is Australian made and is specially formulated to assist in meeting children’s nutritional needs,” he said. Mr Moncau pointed out that Devondale products use farm fresh Australian milk to meet the country’s strict food quality and safety regulations. “Thanks to our unique vertically integrated supply chain, our products are controlled by our company from the farmgate in Australia right through to the shelf in China,” he added. The company also participated at a China-Australia CEO Roundtable, demonstrating its commitment to China in the future. “The trust offered to us by Chinese consumers is something we take very seriously. China is a critically important market for Devondale products and it’s a very exciting time for us because in addition to the Devondale NatraStart product we’re introducing today, we are always looking for opportunities to develop new products that meet the unique needs of Chinese consumers,” Mr Moncau said. “We believe that our new Devondale NatraStart will be enjoyed by Chinese customers and consumers, who appreciate Australia’s natural purity and our company’s unwavering commitment to product safety and quality,” he concluded. According to the company’s press release, the Devondale NatraStart product is now available in China.